On Thanksgiving night and again in January, on Martin Luther King Jr.’s birthday, a Chicago tradition unfolded at Hyde Park restaurant-venue the Promontory. Revelers packed the floor until the early hours of the morning, dancing to the music of the Chosen Few DJs. The guys behind the turntables blasted a slowly evolving soundtrack of classic disco, pop, R&B, hip-hop, and punk over an omnipresent bass drum thump. Club-goers went home bleary and content. This sounds like a standard late-night club experience, but there’s a crucial difference: these DJs helped invent house music, that synthesized mutant child of disco that has infused virtually every genre since its birth in the 1980s. 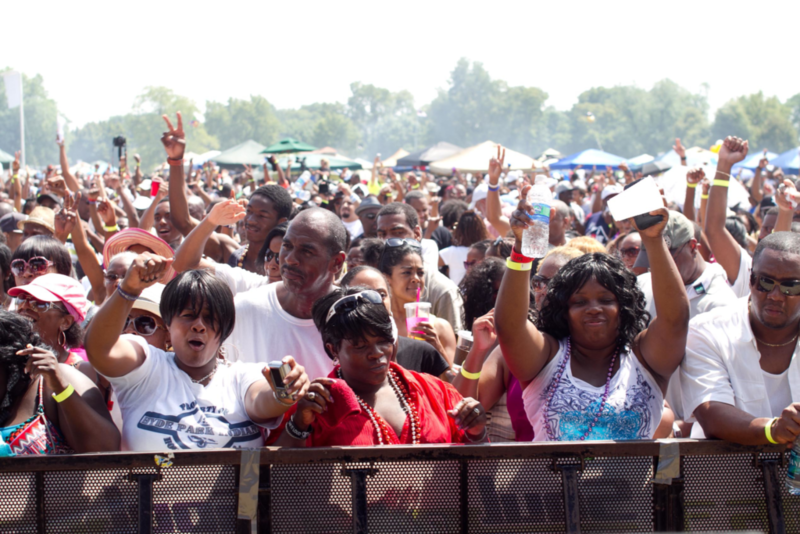 In Chicago, the Chosen Few DJs are known for their summer music festival, which draws tens of thousands of fans to Jackson Park each July. To house-heads, they’re famed for their countless production credits and live appearances over the last four decades. But even for a group that’s played innumerable gigs, these events at the Promontory were special. The DJs threw these “Sauer’s Reunion” parties to revisit the spirit of Sauer’s, a club essential to the development of both the Chosen Few and the genre of house music. Conditions were ripe for innovation. Sauer’s was an after-hours crossroads of the South Side’s Black DJ party scene and the city’s thriving gay club community, and nationally the early 1980s were a fruitful moment in the development of new music. 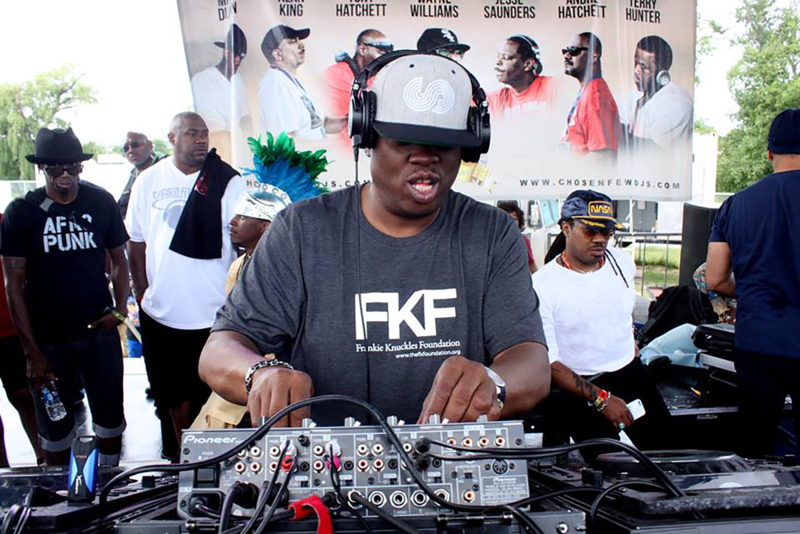 “It was a big booster board to the scene,” said Chosen Few founder Wayne Williams on a call with fellow Chosen Few DJs Alan King and Terry Hunter, as well as publicist Lehia Franklin Acox. Disco had ruled the underground for nearly a decade, hip-hop was in its infancy in New York, punk and New Wave were spreading in popularity, and DJs like the Chosen Few couldn’t resist the thrill of mixing them all together in seamless, genre-hopping sets. Behind the turntables at Sauer’s, the Chosen Few and other house DJs would blend their mainstay disco records with contemporary cuts by the B-52s, Adam Ant, and DEVO. “It was a really interesting phenomenon. I always associate Sauer’s with it,” said DJ Alan King. “For whatever reason in the early eighties, you had a whole bunch of Black people on the South Side of Chicago who were into not only punk-out, but the preppy scene.” The club hosted theme parties, where crowds wore Izod or Polo, but this scene played with issues of identity as well as style. The DJs brought that same spirit of openness onstage by throwing surprises into their sets. Somebody would put on a track by Queen, or some other group tangential to their mainstay disco style, and the other DJs would have to think fast to keep the flow going. The musical adventurousness that animated the Chosen Few and the larger underground club circuit caught the attention of Herb “The Cool Gent” Kent, a legendary Chicago broadcaster who, helped make famous such legends as The Temptations, Smokey Robinson, and Curtis Mayfield. Kent invited some of the young South Side DJs to play records on his radio show. As the genre mixing in clubs like Sauer’s and its eighties peers radiated out to the wider world, music created by DJs also began to spread. Though the Chosen Few had local fans in the early 1980s, the group’s international influence was in no way predestined. In 1977, the collective formed when Wayne Williams, then in early high school, got overwhelmed with invitations to play his disco albums at school dances and basement parties across the South Side. First Williams recruited his younger stepbrother Jesse Saunders, and as demand grew, he brought on Tony Hatchett a year later. Business was booming, but the collective was limited by a shortage of available vinyl—everyone DJed on records out of Williams’s crates, which made it hard to play sets at multiple venues on the same night. That changed in 1980, though, when Williams recruited Alan King, a young DJ already spinning out of his own voluminous collection. “All the sudden,” Williams said, “we could do even more parties!” With their growing income, the group invested in their record collections and professional equipment. The initial lineup was complete when Williams brought on Tony’s younger brother Andre Hatchett in 1981. By the early eighties, the Chosen Few were a successful teenage DJ crew, but their careers took a legendary turn when Jesse Saunders decided to make a track of his own. As Wayne Williams tells it, Saunders often borrowed one of Williams’s rare records. When the group was booked to play two parties at the same time, Williams wouldn’t let Saunders take the album, so Saunders made a version himself. Saunders bought a drum machine, laid down a thumping disco bass drum break and an approximation of the borrowed record’s instrumentation. The resulting record, “On and On,” released in 1984 on Saunders’s own label, Jes Say Records, is now generally regarded as one of the first commercially distributed house singles. Williams followed this up with his own composition, “Undercover,” under the alias Dr. Derelict, in 1984, and soon DJs all around the city were producing records. “That [Saunders’s track] kind of started the scene,” Williams said. “Before [the songs] became vinyl, we would take drum machines to the club and actually play the track, and people would go crazy because it was different sound… It actually started the genre when we started doing this Of course, we didn’t realize it at the time… Disco has a softer drum sound because it’s live drums. But you put in drum machine, and all the sudden you hear that boom boom boom. People was going crazy when they heard that.” Pretty soon, this local scene was shipping records across the world. By the mid-eighties, after the first generation of Chosen Few DJs, the next crop of house heads was growing up with the first generation’s innovations. “We just really piggybacked off what Wayne and those guys were doing at that time,” said Terry Hunter, who started DJing house music in the late eighties in a younger cohort that included Mike Dunn. (Hunter joined the Chosen Few collective in 2006, followed by Dunn in 2012). Hunter and his friends played at Sauer’s and other clubs the Chosen Few frequented in the early 1980s, but they were also consumed by the electro sounds of Giorgio Moroder, Italo Disco, and Alexander Robotnick. Hunter was inspired by his father, who played records at his West Side bar. When Hunter was about eleven years old, his cousin took him to a North Side beachfront set by Frankie Knuckles, a friend of the Chosen Few and an influential DJ at the Warehouse, the Loop club for which house music is named. The set catalyzed Hunter’s interest in this new style. “He was playing these records that my father was playing at the house,” Hunter said, “but he was making them sound like they were one consistent record. It was in the month of August, I’ll never forget it.” Hunter went home and immediately asked his mother for a mixer, not knowing he would need turntables as well. The magnitude of house music’s worldwide impact started to hit the Chosen Few DJs in the late 1980s. When Williams and fellow Chicago house innovator Adonis toured Europe, they played to crowds more voluminous and enthusiastic than they could draw in the stateside underground party community. Records circulating in the clubs of Chicago, Detroit, and New York were mainstream pop hits overseas. Not that a sudden international appetite for Chicago-born dance music necessarily translated to fame or financial success for the Chosen Few and their associates. Artists from the American underground created the house sound, and many South Side DJs toured the world, but none of them became superstars. The sound they helped develop spread through club networks throughout the world, eventually infusing virtually every genre, from global pop, to experimental dance music, to today’s popular club style, EDM. As the years have gone by, the Chosen Few DJs have drifted geographically and professionally but remained linked by their love of music. The Hatchetts DJ regularly on the radio and at parties—Andre in Chicago, Tony in Houston. Saunders built on his early success with “On and On,” becoming the first house artist to ink a major label record contract, touring the globe and producing and remixing music by artists like De La Soul and Paula Abdul. Dunn created a thriving production business in hip-hop and R&B as well as house music. Hunter made his way around the world as a DJ and producer, and in 2015 the Recording Academy nominated a track he produced with Williams, “It’s Your World” by Jennifer Hudson and R. Kelly, for a Grammy. The nomination is the latest success in Williams’s long career as a record company A&R executive. He signed R. Kelly after hearing him at a backyard barbeque, and he has worked with Aretha Franklin, Aaliyah, Justin Timberlake, and a raft of other pop and R&B artists. 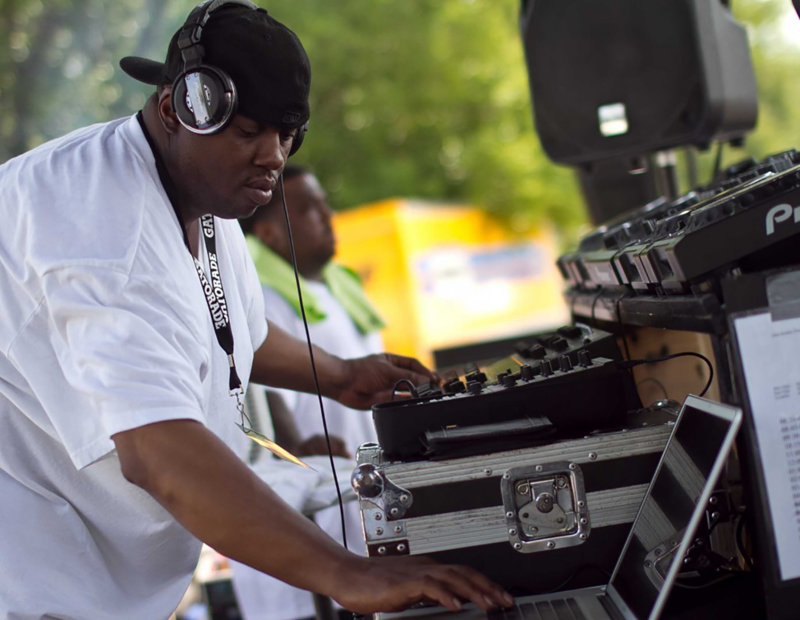 Making the biggest turn of all the Chosen Few DJs, King got a law degree and maintains a dual life as a regularly gigging house artist and a partner in employment litigation and counseling at Drinker Biddle & Reath LLP. In the 1990s, he reportedly befriended Barack Obama at a pickup basketball game. Now, the Chosen Few have turned an eye toward their legacy. In the early 1990s, the group and their collaborator Kim Parham started hosting an annual Fourth of July weekend picnic and reunion in Jackson Park. What was originally a casual get-together of people from the early house scene grew slowly into a massive festival that they finally had to start charging for admission a few years ago. Lehia Franklin Acox pointed out that the picnic retains its noncommercial nature even in an era of ticket sales. “It’s a love letter to the city and the South Side of the city in particular, without the typical sponsorships and accoutrements you see with really big festivals,” she said. If one thing has kept the Chosen Few going all these years, it’s a passion for their friendship as well as their music. “The one thing about us, more than anything, is we love each other,” Wayne Williams said. “…We’re a brotherhood [and] sisterhood.” With everything the group has been a part of, both as innovators and as community-builders, it’s clear the city shares in that love. What a great article. So much history! Great article and history lesson. House music was so important then and remains even more important an asset and tool today to move our country and world forward! CONGRATULATIONS Chosen Few!